Retail _ sell, oil paintings, Chinese paintings, mirrors, wood carvings, Chinese antiques, to Toronto, Mississauga, Hamilton, Burlington, Guelph, Richmond Hill, Montreal, Vancouver, Calgary, Edmonton, New York, Washington D.C., San Francisco, Chicago, Paris, London, Berlin, Rome, Moscow, Tokyo, Beijing, Shanghai, Taipei, New Delhi, Riyadh, Cairo city. 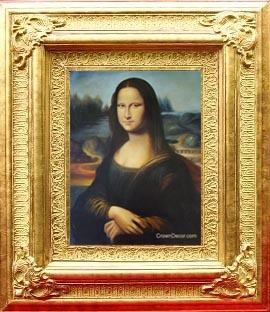 -- Sell hand-painted, reproduced museum quality oil paintings, and high quality frames. Please see our high quality oil paintings! --Sell hand-painted, reproduced museum quality Chinese paintings, and high quality frames. Please see our high quality Chinese paintings! -- Sell high quality silver mirrors. -- Sell high quality mirror frames. -- Sell high quality wedding frames. Please see our high quality frames! -- Sell high quality wood carvings. Please see our high quality wood carvings! -- Sell high quality door plates and signs. Please see our high quality door plates and signs! -- So far, our major sale members are in Ontario, Canada. You could currently order from our web, and we make direct deliveries to Toronto, Mississauga, Hamilton, Burlington, and Guelph regions. We also use other shipping companies to ship to Montreal, Vancouver, Calgary, Edmonton, New York, Washington D.C., San Francisco, Chicago, Brasilia, Mexico city, Buenos Aires, Paris, London, Berlin, Rome, Moscow, Athens, Amsterdam, Madrid, Oslo, Stockholm, Bern, Budapest, Beijing, Shanghai, Nanjing, Taipei, Tokyo, Yokoharma, Osaka, Nagoya, Singapore, Seoul, New Delhi, Islamabad, Riyadh, Cairo, Kuwait city and other cities. -- Welcom new members to join our sale network.